This was going to be a wedding and holiday we wanted to remember and I can assure you it was that and more. 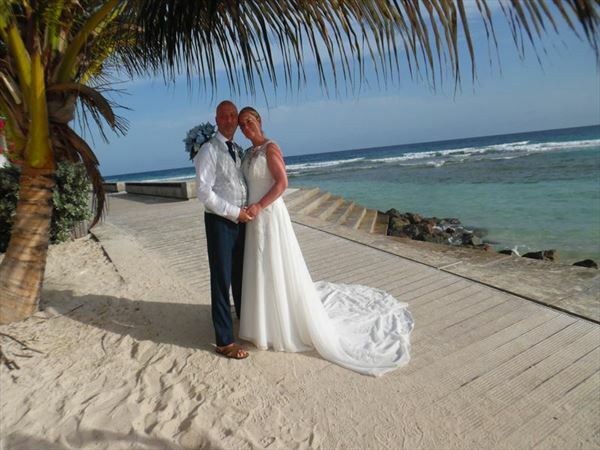 When deciding to arrange our wedding Jeanette and myself wanted to be in a sunny romantic beach location and we started our search and Barbados kept coming up, after looking more into the can we marry and what has it to offer it didn’t take us long to make the booking. We found Tropical Sky and they said they can arrange it for us all we had to say was where and when, and they did the rest and it was totally stress free. When we got to Gatwick having a cuppa the waiter questioned us as to where we were going - "Barbados to get married" after a chat he moved on to the next table and again asked them "Barbados" was the reply, he then introduced us to Sharon and Derek who were staying up the road from us, next thing we knew we were hitting it off so well we asked if they would be our witnesses to marriage. 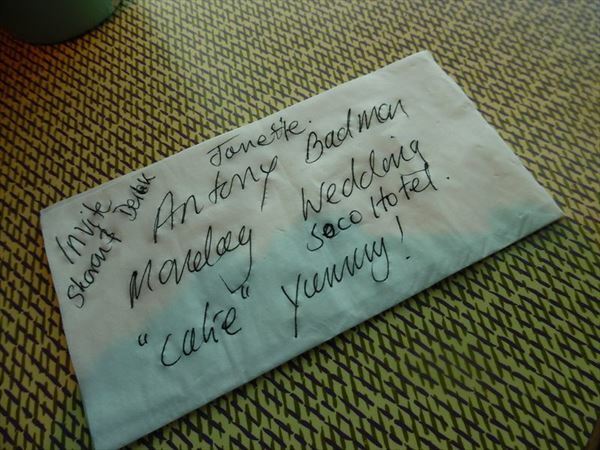 Sharon promptly wrote her invite on a napkin. When we arrived at The SoCo Hotel we had an amazing greeting of a glass of rum punch by the staff and then taken to our room which was very clean and spacious with a sea view balcony. That evening we met our wedding coordinator who ran through how our day would go along with our wishes and colour scheme to arrange flowers and a cake, also organised the next morning to meet Rev.Knight who will be conducting the service, the photographer from Colorbox Hanz Mattz, hair and makeup times for Jeanette, and then finally on to the Ministry of Home Affairs to obtain our licence of marriage. This was done by lunch time and all we had to do was relax until Monday (4 days). We did this by poolside, swimming in sea and exploring the local area, even though we were fully inclusive we ate out at some very good restaurants and local hidden away establishments. 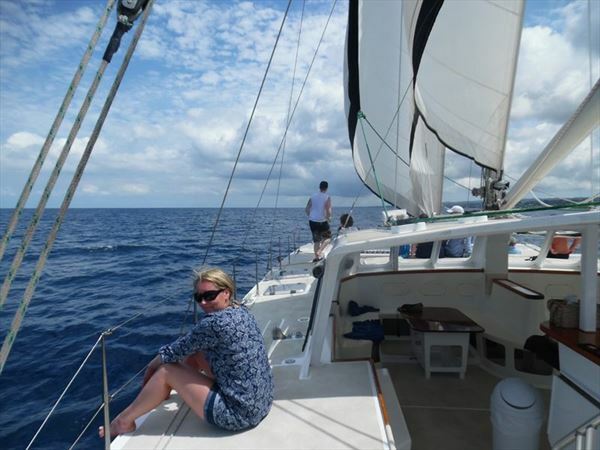 Managed a catamaran trip around the south coast to the west of the island where we had the opportunity to swim with turtles, snorkel over a ship wreck to see the fish and coral. all in our room so all I had to do was relax a bit more - who said your wedding day is stressful? Its now 3pm and there is a spare room in the hotel which I had been given to get myself ready for our 4pm wedding. The photographer and priest are here along with staff and guest all waiting around to join in on our big day. With Sharon and Derek now with Jeanette ready to walk her to arch overlooking the beach and sea where I am waiting. The ceremony is complete "you may kiss the bride" with almighty cheers from hotel guest and staff, signing of marriage register cutting the cake and amazing photographs being taken around the sea and beach - it is a dream that came true. As the sun set we were served an outstanding romantic dinner under the arch looking out to sea where we were married, then onto the bar where we had the company of the hotel guests. 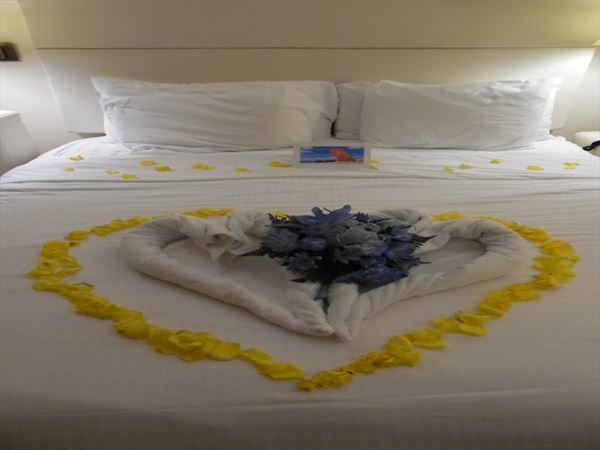 At the end of the day we went back to our room to find a very special treat that the staff had laid on for us, they scattered yellow rose petals throughout the room and over the bed and made a towel heart which incorporated Jeanette's bouquet with a personal card from the staff. For the next nine days people were talking of our day and so pleased they were there to share with us, we followed up with a tour of the island which was a great day with a fantastic host "Teds Tours" stopping off at many attractions, sights (the occasional rum served on route) and a meal at Sunbury Plantation House and museum. 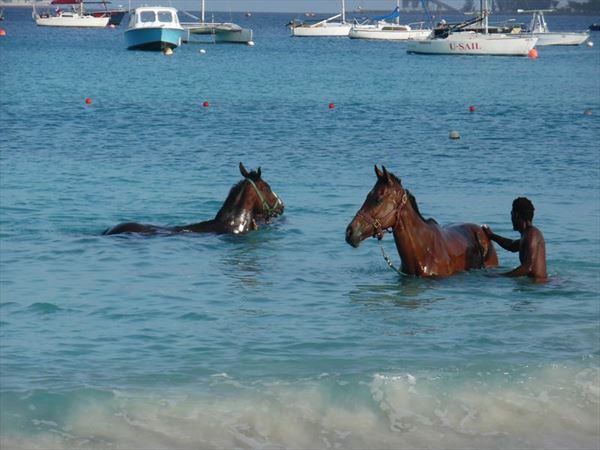 Another wow was to get up early 6 a.m and get to the beach to see the race horses go for a swim after their morning training, it may be early to get up whilst on holiday but really something not to miss. The day come for us to say goodbye – and a tearful one at that. 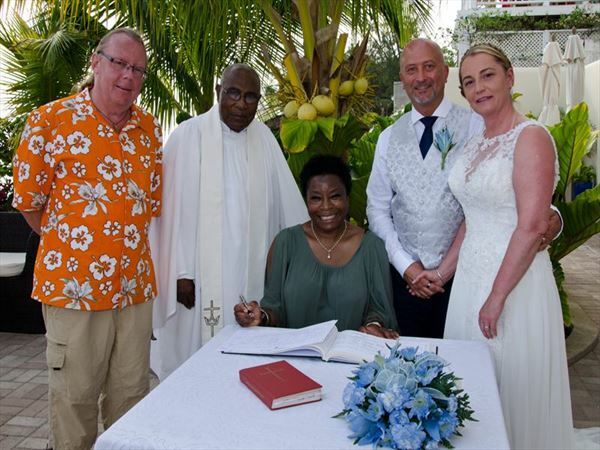 Thank you to The SoCo Hotel, Barbados, staff and guests - and not forgetting the staff of Tropical Sky who helped us have with our dream day. We hope to return one day. 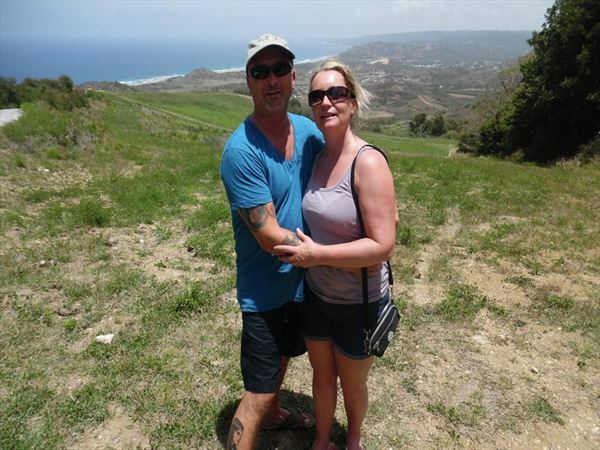 We would like to thank Antony & Jeanette for sharing their story with us and hope to welcome you on another holiday soon.